Travelling whilst working full time is hard work, and it seems the more of this world I see...the more I want to see of it. So this summer I've decided to make the effort to see more of the world, starting with my own little island - I have a holiday to Dubai planned later this year, so more overseas excursions are unfortunately off the table, but that doesn't mean that I can't travel and create amazing memories with the ones closest to me...they just need to be created a little closer to home. So last weekend, me and five of my housemates set off to the Isle of Wight for a sailing holiday. 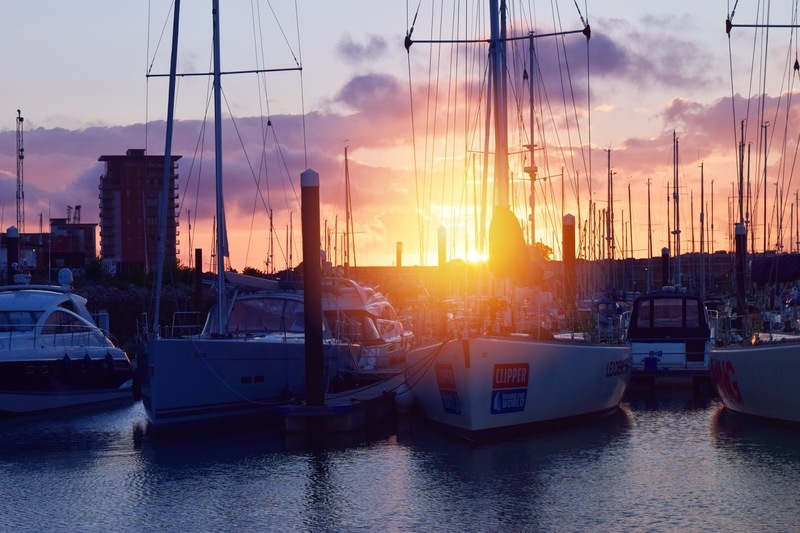 On Friday night we drove down to Gosport in Portsmouth, where we'd hired a boat from Commodore Yachting, to set up and have a few drinks on board before an early night. Unfortunatley Friday ended up being an extremely long day as we were all up at the crack of dawn to watch the Brexit results roll in (I'll keep my opinions on this matter to myself for the time being), so instead of having a heavy night, we went to a local 'all you can eat' Chinese restaurant for dinner and a few drinks before heading to bed. We woke up bright and early on Saturday morning to start our mini lesson in how to sail as 5 out of the 6 of us had never sailed a boat before. The lesson was quick as one of my housemates is an experienced sailor and reassured us that we would learn as we go. However just as we set off, the heavens opened - I've honestly never seen rain like it, it was so heavy that at one point I wasn't sure whether I was on the boat or under the water! Despite the rain absolutely soaking us (I'm pretty sure my jeans are still damp!) we didn't let it dampen our spirits and we sailed away over the the Isle of Wight. I'm not really tall enough to help out with the sail, so I steered the boat into the wind as we sailed over to Cowes. I didn't really think I'd enjoy the sailing part of this mini-break but I absolutely loved it, and I really think it made this holiday special - it was a new experience for me and one I'll never forget. 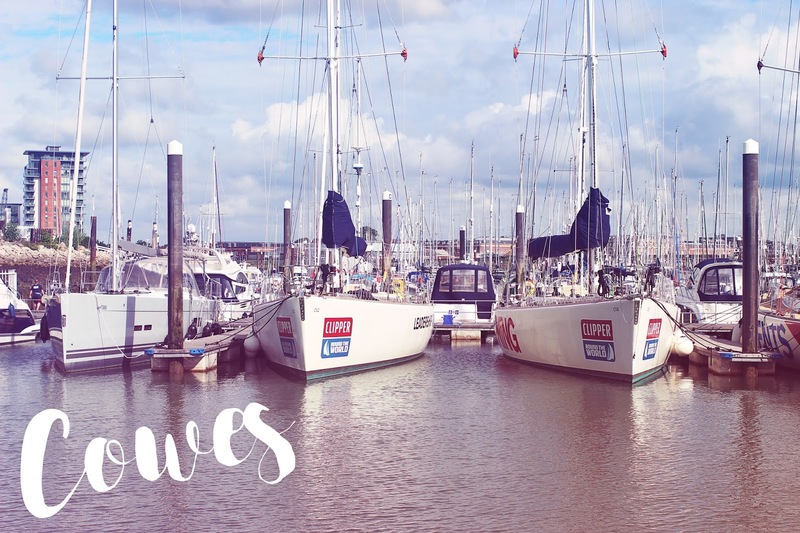 Cowes was extremely busy when we sailed over (I think there was an event on the island) so we ended up staying in East Cowes Marina which meant we needed to get a water taxi into town for the night. 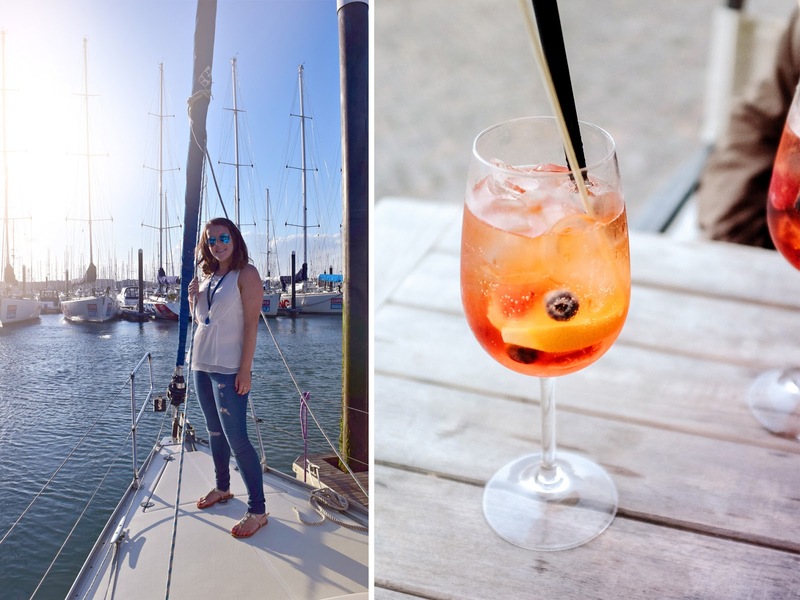 After drying off on the boat and getting glammed up, we called ourselves a water taxi and headed over to Cowes town centre for dinner and drinks. After doing a little research on the local bars and restaurants, we headed over to The Mess Canteen + Bar on Cowes High Street and I really can't recommend this place enough, it had a lovely relaxed vibe and the retro decorations were brilliant. I had the Halloumi, Beetroot and Pesto burger and oh my gosh it was amazing, I don't think I've ever had a halloumi burger that I've enjoyed as much. The main selling point of this restaurant/bar though, was the jam jar cocktails - we loved them so much that we ended up having way too many and staying until closing before heading back to the boat for the night. If you're ever in Cowes then you *need* to try their 'Messy Mai Tai'. The next day was a lot calmer weather-wise so we explored Cowes a little in the morning, taking time to take in the quaint little streets which are littered with cute homeware shops and souvenirs - a typical English seaside town I'd say. After we were done in Cowes, we headed over to Hamble for lunch before heading back to Portsmouth. 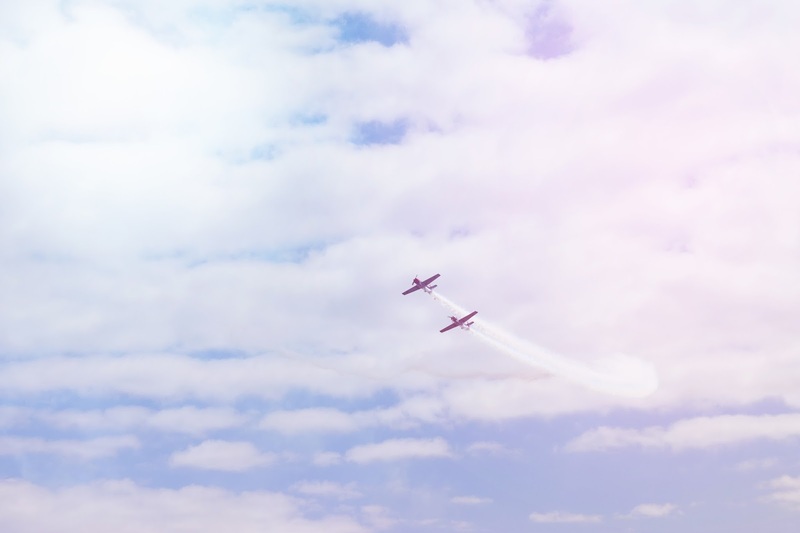 As we were setting off and attempting to get the sales up, the wind picked up and a couple of planes were flying past doing loops and tricks, which was amazing to see and really added to the excitement of the sail back! When we docked in Hamble we headed to the King & Queens head for some traditional Fish & Chips which were amazing but as time was tight (we needed to be back in Portsmouth for 6pm) we didn't really have time to hang around so we headed back on over to Portsmouth before a long drive back to London. The trip was definitely tiring (nobody told me sailing was hard work!) but so rewarding. As I said, it was a new experience and it was honestly such great fun - I'd recommend it to anyone looking to get away without getting on a plane! Sounds like so much fun! I've never gone sailing. Such a beautiful place! Learning how to sail must be loads of fun!